Directions:From 98, travel east on 30a thru Rosemary and then thru Watersound past Deer Lake State Park. Watersound West Beach will be on your left. Pass through gate and then turn left at stop sign onto Tumblehome Way. Quarter Moon Lane is first street on your left. SchoolsClick map icons below to view information for schools near 27 Quarter Moon Lane Santa Rosa Beach, FL 32459. 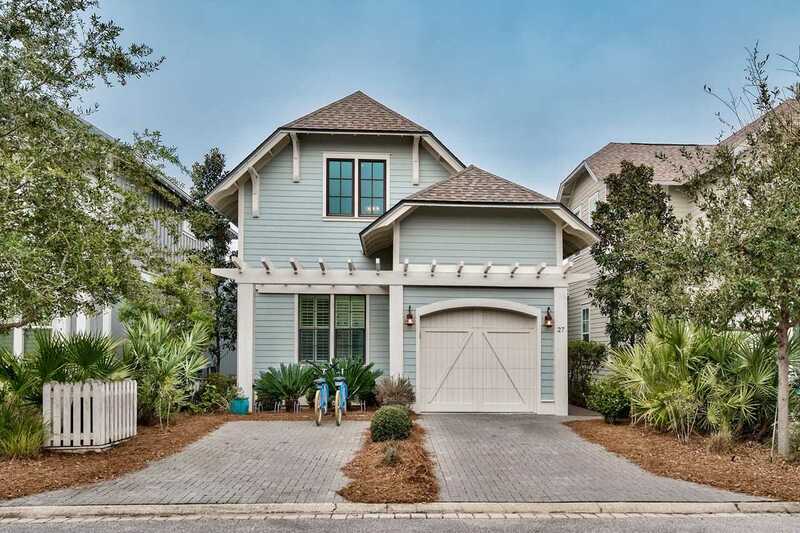 Home for sale at 27 Quarter Moon Lane Santa Rosa Beach, FL 32459. Description: The home at 27 Quarter Moon Lane Santa Rosa Beach, FL 32459 with the MLS Number 815644 is currently listed at $842,500 and has been on the Santa Rosa Beach market for 74 days. You are viewing the MLS property details of the home for sale at 27 Quarter Moon Lane Santa Rosa Beach, FL 32459, which includes 3 bedrooms, 4 bathrooms and has approximately 2103 sq.ft. of living area.